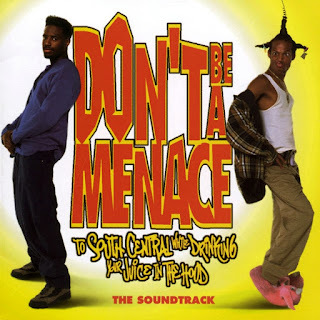 Don't Be a Menace to South Central While You're Drinking Your Juice in the Hood is a silly spoof of black urban dramas of the 1990s, like Boyz N the Hood, Menace II Society, and Juice. Appropriately, the soundtrack is a slightly off-center collection of hip-hop and rap-influenced R&B. Not all of the soundtrack works -- it's too long, for one thing, and there are too many mediocre cuts -- but the songs that are good are first-rate, particularly Ghostface Killah's first solo track. It's just a shame there aren't more than a handful of good songs.